In part one of our look at the rise of craft beer venues in Brisbane's 'burbs Julia Charalambous focused on the northside. Here, she ventures south of the river, where new breweries sit alongside venues and bottleshops that together are offering locals plenty of the good stuff. Like the northside Crafty Crawl, it's a crawl with a difference, created not because the venues are within walking distance from one another, but rather because the recent proliferation of craft beer in suburban Brisbane deserves to be celebrated. The owners and venue managers of each of the featured operations are united by one cause: supplying their neighbourhoods with the goods. So, without further ado, here’s a collection of quality spots we reckon are worth checking out. 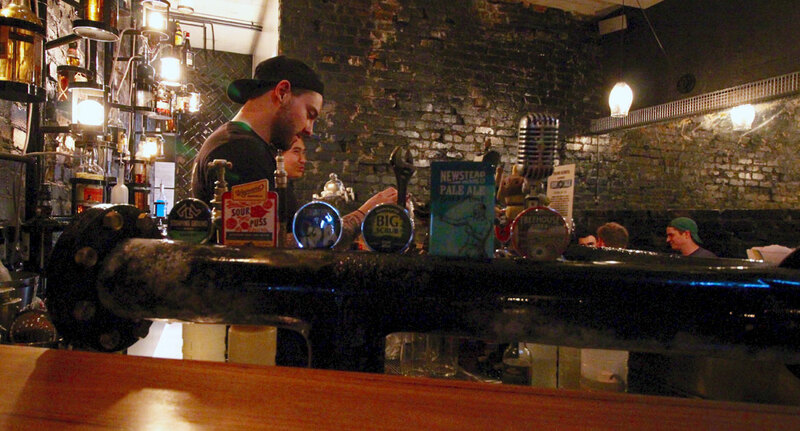 The Oxford Tap House, or "The Tappy", is a founding member of the Brisbane suburban craft beer scene. Owners Gillian Letham and Gerard Hartnett opened the doors of their first venue in 2012 (their second being The Mill on Constance) to a collective sigh of relief from the good beer drinkers of the area. No longer would they have to brave a trip to the other side of the river in their quest for a draught craft beer (which was the owners' reason for opening the venue in the first place). 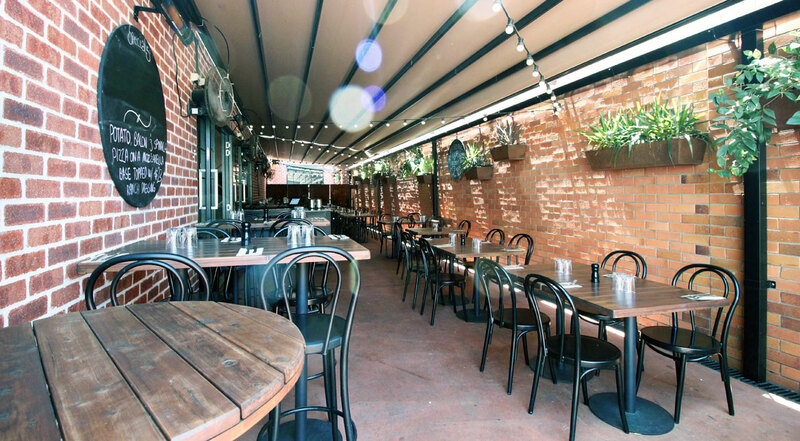 Tucked down one end of Bulimba’s high street, Oxford Street, is where you’ll find The Oxford Tap House. A corner venue with a Queenslander home feel that beckons you to sit on the deck within arms reach of the curtain fig trees for which the the area is famed. It's home to six rotating taps and an impressive bottle list. But the drinks don’t stop there. For thirsty locals, there's always a wine or three to tipple and twists on classic cocktails too, not to mention an evolving modern Australian menu. 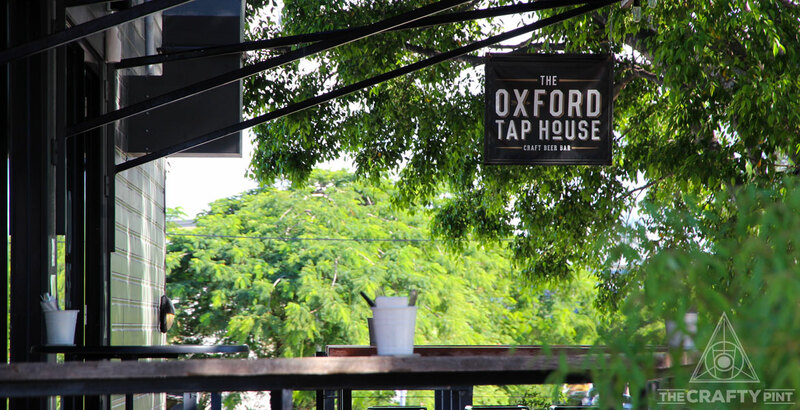 You’ll find The Oxford Tap House at 77 Oxford St, Bulimba. Inspired by owners Patience Hodgson and John Patterson of The Grates' travels through the US of A, Death Valley is a dive bar with bloody good beer and an all-diet inclusive food menu. Contrary to first instincts, the venue isn’t named after one of the hottest places on earth, Death Valley in California. Rather, inspiration came from a desire to create an alternative to Fortitude Valley, thus Death Valley, or Death to The Valley. The bar bearing the name is dimly lit by pinball machines, a neon ‘drunk bar’ sign and the light from the beer garden through the back door. Death Valley is a part of a trio of businesses that co-exist under the same roof. By the daylight, you can fulfill your coffee, cake and breakfast needs at South Side Tea Room and, if you’re dining after 10am, wash them down with a beer too. Come 5pm, bar staff turn on the few lights they have and the Red Robin food truck (pictured at top) starts pumping out the goods. Death Valley has ten rotating taps that generally feature Aussie brewers. But take a peak in the fridge and you’ll find John’s ode to the USA. You’ll find it all at 639B Wynnum Road, Morningside. When you beeline, blinkers on, to Factory 51, it might appear you’ve landed yourself in some mid-suburban warehouse district. Duck around the corner, however, and you find yourself on Queenslander-lined streets akin to any other Brisbane suburb. Factory 51 is a venue built from the rubble of a defunct industrial space that's dedicated to bringing the neighbourhood good food and good booze. Formerly home to the Laminex Australia factory, the original brick façade of which is still intact, and lying within an area of diminishing industry and booming housing, Factory 51 is quickly becoming a destination watering hole for local beer lovers. It opens from lunch to late, Tuesday through to Sunday, boasts ten rotating taps featuring entry-level brews from local and national breweries and also offers an extensive wine list, all of which is designed to go down well with the wood-fired pizza menu. From Thursday onwards, finding a seat for can become a little bit tricky in this family-friendly venue, so it’s best to book ahead. Factory 51 is also home to a 150 to 200 capacity private function space, with a bold chandelier illuminating the red brick, industrial style exposed scaffolding as its centrepiece, and up to four craft taps of your choice. You’ll find Factory 51 at 51 Holdsworth Street, Coorparoo. Following the success of sibling venues on the Gold Coast and in Fortitude Valley, good beer and big burgers found a new home on Camp Hill’s high street. This pint-sized venue is home to 12 rotating taps, which always feature a cider or two, brews from Australia and beyond and their crazy house lemonade, made in collaboration with Black Hops Brewery. If you're acquainted with other Ze Pickles, you'll be happy to discover all the usual suspects on the menu. If you're unfamiliar, well, while your arteries might thank you, your taste buds will likely tell a different story. Ze Pickle is famous for its mega burgers which feature beery food treats like IPA beer cheeze sauce and stout smoked bacon; it’s a helluva dude food menu. If, for some ungodly reason your (soon-to-be disowned) pal doesn’t feel partial to any of the treats on tap, they're more than catered for by way of the wine, spirits, and cocktail lists. You’ll find Ze Pickle Camp Hill at 1/4 Newman Avenue. When it was announced that the oft-forgotten Deep South of Brisbane (as in anywhere beyond Woolloongabba) was getting a new brewery, beer-loving southerners rejoiced. When it was announced that Ian Watson, formerly of Fortitude Brewing/Noisy Minor, Murray’s and, briefly, Green Beacon, was coming on board, the beer community near and far rejoiced. When it was revealed the venue was a neighbour to the Yeerongpilly train station, well, designated drivers and cab-shy bank accounts shed a tear of joy. 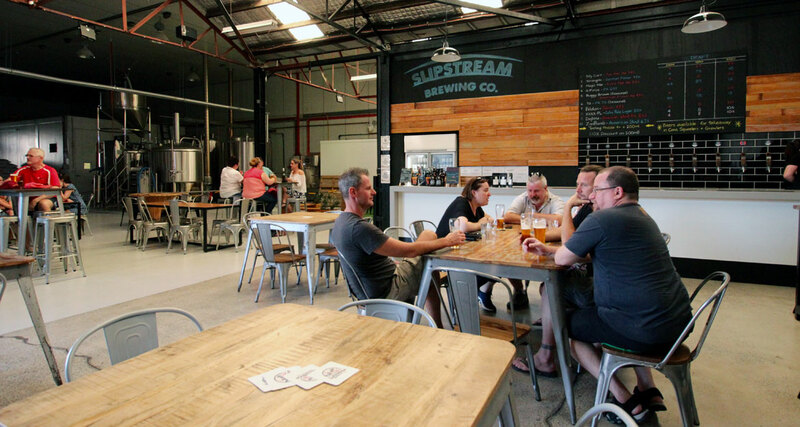 And so Brisbane’s love affair with Slipstream Brewing began. 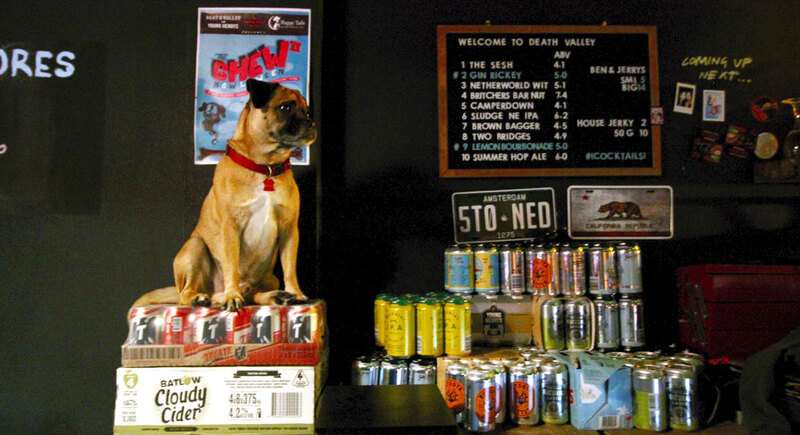 Accessible, spacious, dog-friendly and pouring damn tasty beers, it’s a worthy partner with which to hook up. The taproom, which only opened in August of this year, is already a favourite watering hole for locals and becoming a destination venue for any self-respecting beer drinker. You’ll find all the core beers, experiments and collabs on tap, to drink in or take home in a squealer or growler and you can grab tinnies for your next BBQ. 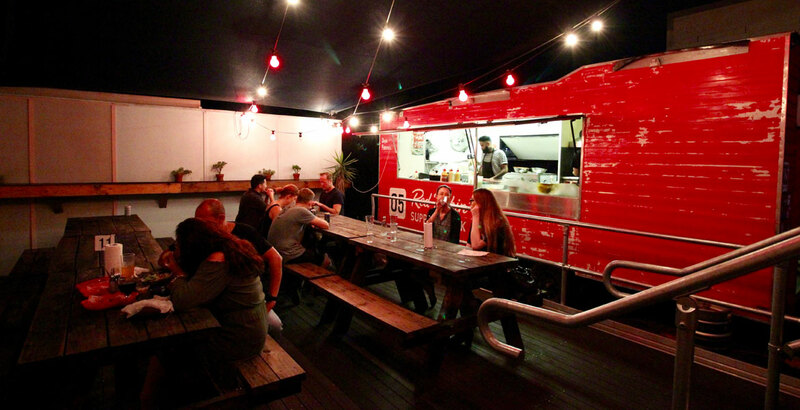 The taproom is open Friday to Sunday; different food trucks are parked up each day and often there's live music too. The brewery and taproom is found at 94 Wilkie Street, Yeerongpilly. Slipstream wasn't the first brewery with a brewer of repute on board to open in the area. 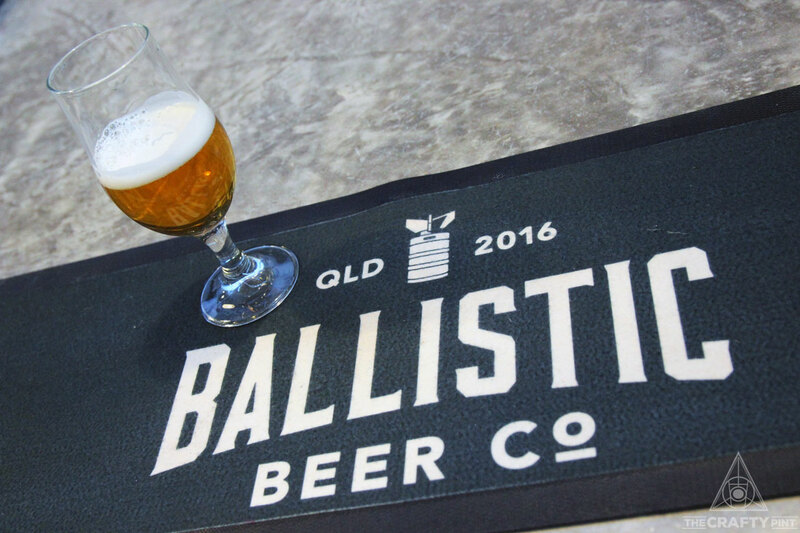 A few months earlier, Ballistic Beer Co threw open its doors – and was promptly swamped by locals eager to see what former Gage Roads and Camden Town brewer Lachy Crothers had been brewing. The crowds have kept coming ever since; when we visited on a sunny Saturday afternoon while putting this Crawl together, it was a day fit for sinking beers in the sticks. And, boy, does Ballistic give you the space in which to do just that; as we rocked up, a kids' pop-up basketball game was in full swing while parents sat in white deck chairs nursing beers in a scene that could have been lifted straight from Skippy the Bush Kangaroo. As it turns out, this wasn’t some fluke on our part, turning up on a Government-sanctioned "Bring your kids to the brewery day". No, such scenes are commonplace at Ballistic, which is how brewery founder David Kitchen wanted it. When conceiving the venue that would satisfy his desire for a place to grab a good beer without trudging to the city, he wanted the brewery to be a place locals could enjoy too, with beer just a piece of that experience. Beyond the supply of said beers – which have amassed a fair amount of silverware already – the venue itself is a down-to-earth country shed, just one that happens to house a towering, shiny brewing system and people who pour your beers into glasses for you. From Thursday onwards, you can pick from 12 taps featuring the core range and limited editions while, come the weekend, Ballistic hosts food trucks bringing the bites, live music and more dogs than you can dream of patting. It’s a classic bush shed party, only with better beer. You’ll find Ballistic Brewery at 55 McCarthy Rd, Salisbury. And, in a few weeks from this article going live, you can look forward to Helios Brewing opening in Yeerongpilly. Read about it here. You can view other Crafty Crawls from around Australia here – with part one of this particular suburban affair here.